You might have to squint to see it but on the top right-hand side of the Armistice Day centenary two dollar coin, is a tiny initial: TD. 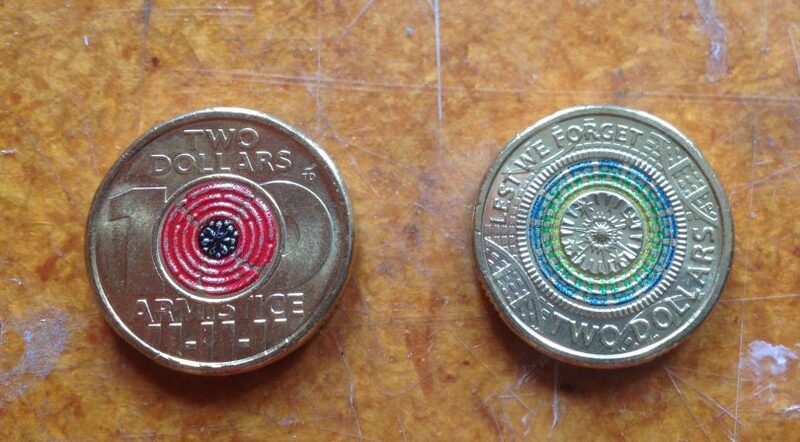 Bega-based designer Tony Dean (AKA TD) has had the pleasure of putting his initials on two circulating two dollar coins in a series of five coloured Remembrance Day coins. 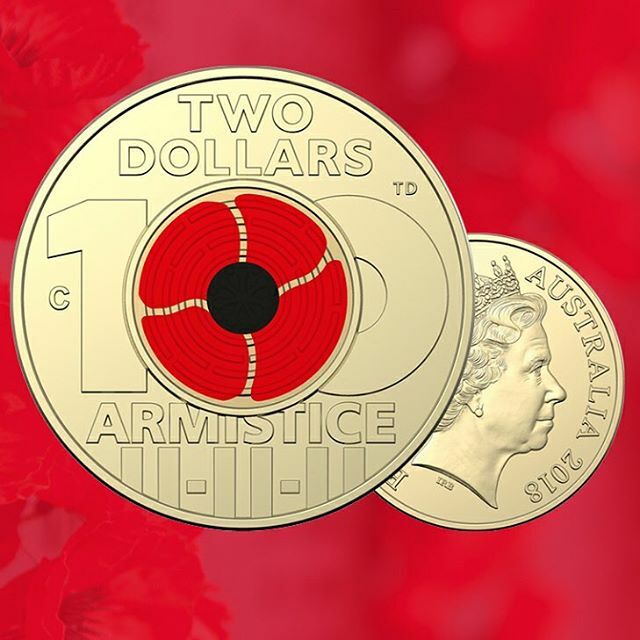 His first design, inspired by the domed ceiling at the Australian War Memorial was released in 2017 while the new Armistice Day coin release on November 11 this year, features a red poppy. Tony Dean has his initials on two circulating two dollar coins in a series of Remembrance Day coins. Photo: Elka Wood. Each coin takes about a year between the first stages of design to being minted. “Most of my work with the Royal Australian Mint has been designing collectible coins and it’s really good to design some coins that are in circulation,” Dean says from his studio above Spiral Gallery in Bega. Dean is living that unlikely dream – rural life coupled with an artistic career that makes a national impact; coins are, after all, art that you keep in your pocket. Although he has spent periods living in Canberra and Perth, where the two government mints are located [Perth mint produces only commemorative coins, while Canberra handles coins in circulation] Dean has lived in the Bega Valley since 1997. Dean has worked for the Royal Australian Mint in Canberra on and off since his first job with them in 1989 and still spends six weeks every winter working from Canberra. “I like being in cities and getting my fix, but I’m always happy to come home,” Dean says. Drawn to the beauty and protection from development the coastal national parks offer and the “diverse but mild climate,” Dean and his partner have no plans to move away from the Bega Valley. “There are a lot of good people here too,” Dean adds, although arguably many don’t know what it is that he does in his studio all day. 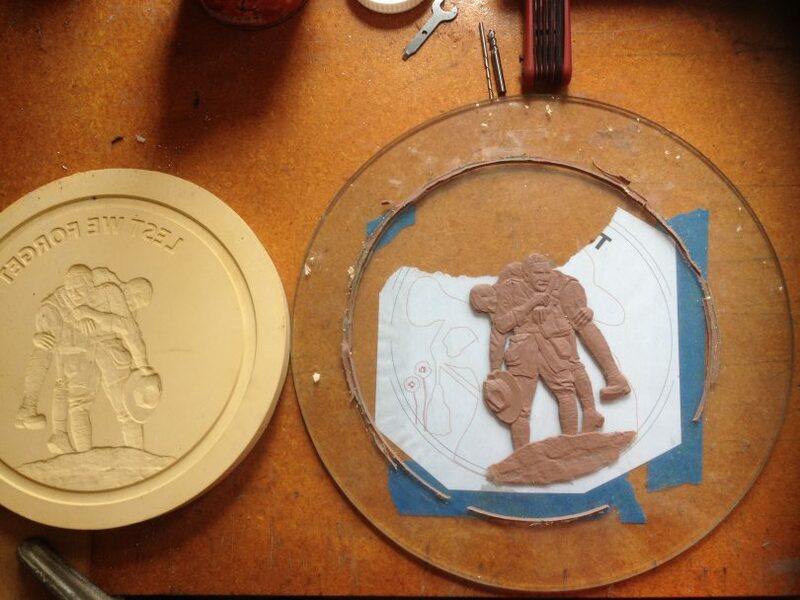 An example of a plasticine bas-relief sculpture by Tony and the sculpture’s negative plate. Photo: Elka Wood. Only five designers work from the Canberra Mint, Dean says, and the newest coin designers come from diverse backgrounds such as graphic design and animation. Dean learned the trade through an informal apprenticeship in Melbourne when he first left high school and admits he had to look up the definition of the apprenticeship he was applying for – die sinker and engraver – in the dictionary before his interview. “I think the fact that I knew what this obscure trade was got me the job,” he says, laughing. Tony Dean has worked for the Royal Australian Mint in Canberra on and off since his first job with them in 1989. Photo: Elka Wood. 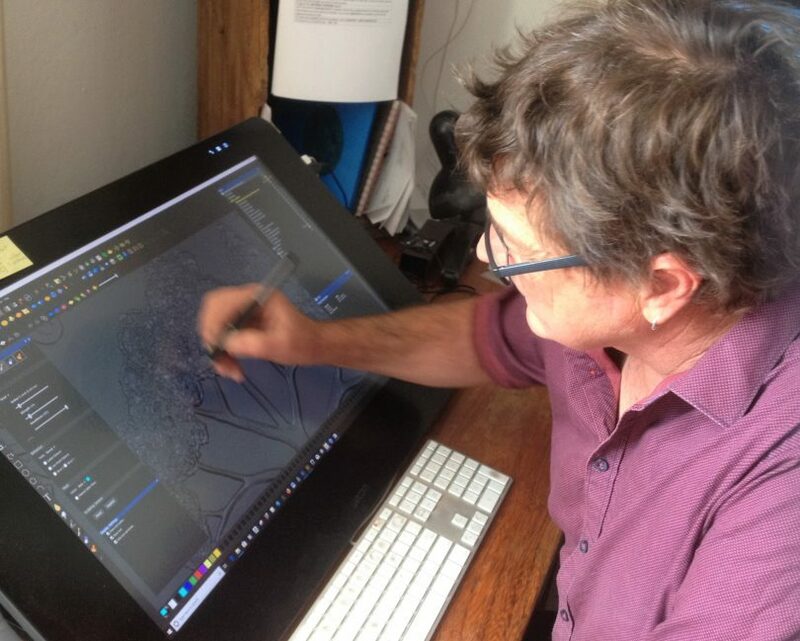 Now, computer programs speed up the process and Dean is as likely to be found sculpting with a stylus on a screen as he is working with plasticine. 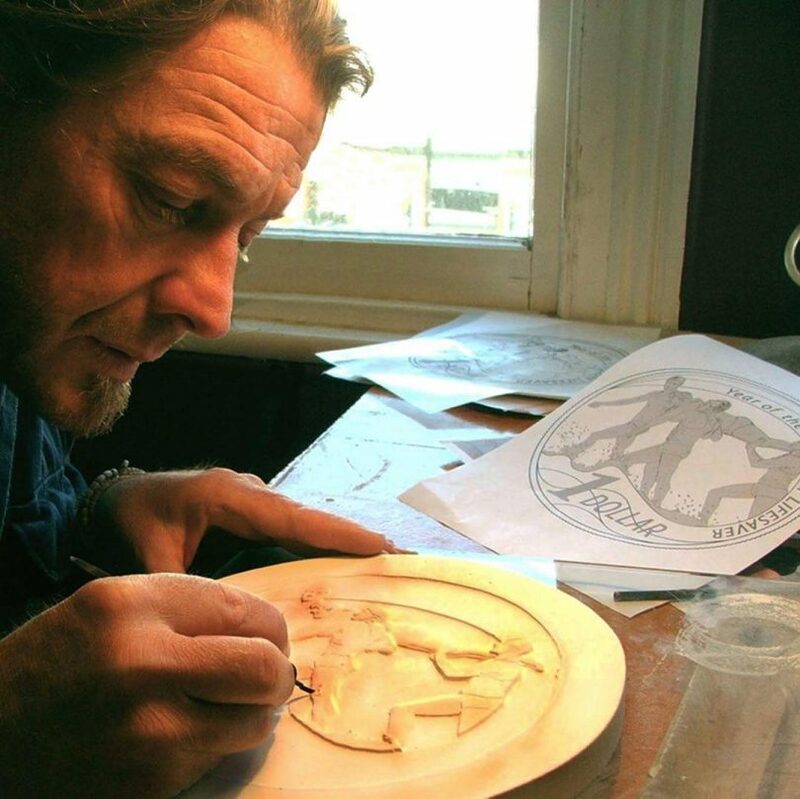 As well as coin design, Dean designs and produces medals and plaques, working for the Australian National University and Monash University, among others. 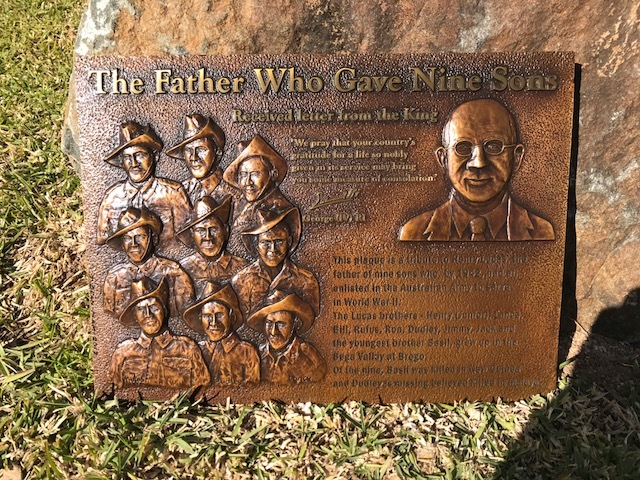 Dean’s work can be seen locally in the plaque at the Bega Lookout and in a plaque privately commissioned by the Lucas family which is located outside Bega Civic Centre. The memorial to Henry Lucas and his sons at the Bega Civic Centre. Photo: BVSC. In his studio, Dean runs a thumb over the Armistice Centenary two dollar coin he designed. interesting article Elka, I had no idea this is what Tony did!